During a mindless You Tube surf last winter, I chanced upon a video that I’ve now watched countless times. Caroline Hirons, UK beauty and skincare expert was interviewed by Pixiwoo, who are, incidentally, my all-time favourite makeup artists. That interview with Caroline, followed by hours and hours of research on her blog (and a bit of shopping) has had a profound effect on my beauty regime. Lots of people out there give beauty advice… I swear by Caroline’s and I now ignore everyone else’s views! So, here’s a post dedicated to Caroline’s frank and cut-through-the-crap words of wisdom on skincare which completely changed my thinking. I share this in the hope that you’ll stumble on a golden nugget in here that will help your skin too! Hang on, who the heck is Caroline?! 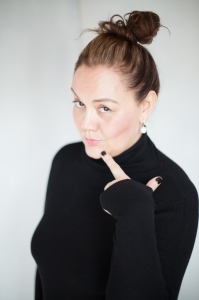 With a blog formerly called The Beautymouth, Caroline is trained in over 100 beauty brands and is globally qualified advanced facialist. She now works in the UK as a consultant to brands and retailers in the beauty industry. In the UK if Caroline raves about a beauty product the ‘Caroline Effect’ kicks in: The product flies of the shelf. How have I personally benefited from Caroline’s wisdom? I’m the happiest I’ve been with my skin in years. Having been plagued with zits since I was 12 I’m now breakout free (unless I eat lots of sugar – keep reading). I used to have dry patches of skin – now I have an even skin tone for the first time in my adult life. My oily skin is no longer glistening from afar and BP has stopped calling to ask if they can drill for oil. As for wrinkles, I’m as “happy” (as I ever will be !) with how these look. One thing is for sure: I’m a Caroline Convert. Here’s a link to Caroline’s blog, which has a tonne of information. If you are looking to quickly zero in on the ‘good bits’ I highly recommend this post called ‘Things I say over and over again’ and this Cheat Sheet on Routines. These will get you started with her main philosophies. But in the meantime, here’s her top TEN pearls of wisdom that I’ve picked up that have Changed My Life… Here’s also the interview Pixiwoo did with Caroline that got me captivated. “Face wipes are for Fannies, Flights and Festivals only”. But why? These are full of alcohol, which, as a main ingredient in any beauty product is a really bad idea. To keep it simple (I’m no scientist) alcohol will harm your skin’s protective barrier, makes oily skin and redness worse, and is best described as “pro-aging.” What to use instead? Cleanser, warm water and… a clean flannel (change this daily). Double Cleanse at night. Here’s Caroline’s Cleansing Cheat Sheet. 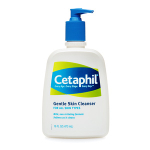 Double cleansing will get rid of the grime your face acquires during the day. My face never used to be completely clean following a single cleanse. This advice is gold. If you only do one thing – do this! Say NO to foaming cleansers. These will dry your skin out and alkaline the surface of the skin which makes it a breeding ground for bacteria. If you’ve got problem skin, it’ll make it worse. Caroline reckons foaming is what you want washing up liquid to do. Not your cleanser. My choice? I can’t rave enough about good old Cetaphil which I buy from my local supermarket (good news: Caroline gives this budget cleanser a big thumbs up). Toners: There’s more than two kinds and, ideally, you do both. 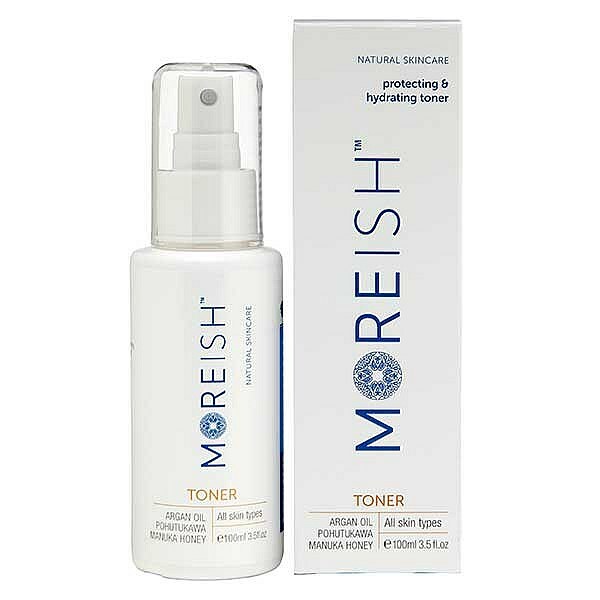 Toner has come a long way since it was used to take off the remains of a cleanser/last traces of grime. These days, Caroline says, you should use, first, an exfoliating toner and then following up with a (spray) hydrating toner so that you get your skin ready to absorb all the other stuff you put on after it… Reluctantly I gave Caroline’s Toning Wisdom a bash (I wasn’t convinced). Yeah, I’m a believer. It’s made a noticeable difference to my skin’s tone and texture. First up you need a toner with an acid like AHA or BHA (to keep this brief I’ll spare you the details) to exfoliate, thicken the dermis, unblock and tighten pores, as well as smooth the skin. As for popular scrubs containing things like, peach kernels? “Nothing good ever came from scrubbing your face with a peach kernel”, Caroline scoffs. Hmmmm. After an exfoliating toner, spray your face with a hydrating toner, which will help the skin absorb moisture (Note, I slightly break the rules here, I do a hydrating toner in the morning and then I do the double toning thing at night… Shhhh). Use a serum. 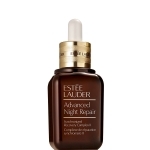 After cleansing apply a light water-based serum that’s targeted at remedying your specific skin conditions, e.g. ageing, pigmentation, scarring/dehydration etc, whatever you want to address. 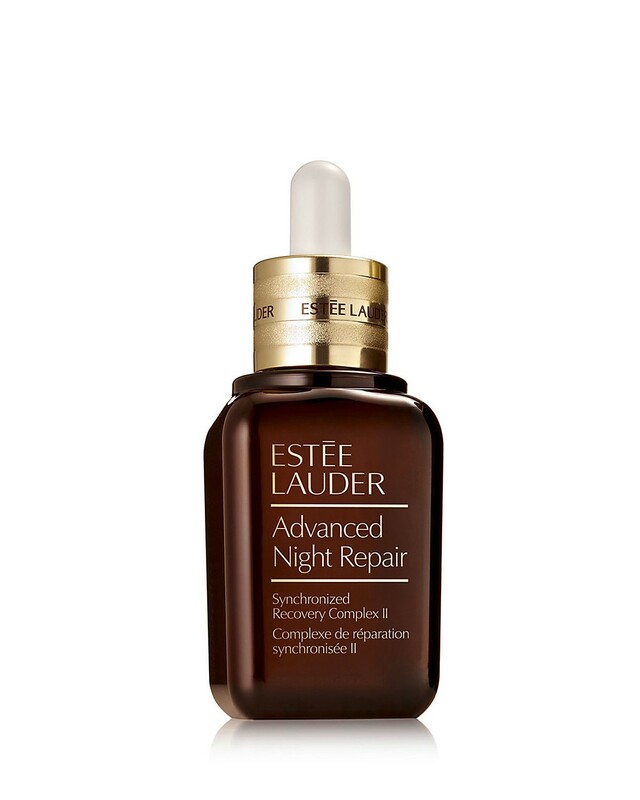 I love Estee Lauder’s Advanced Night Repair Sychronised Recovery II (pricey but fabulous). 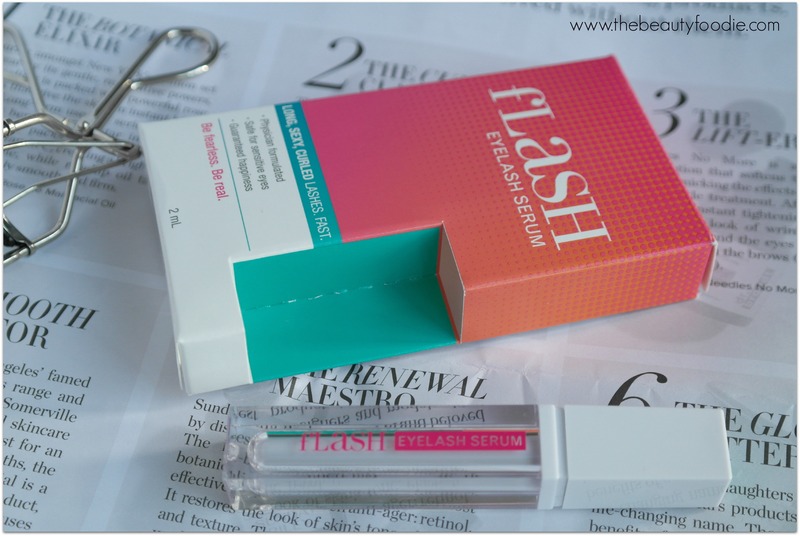 There are other more budget friendly serums available too – have a poke around on her blog to see what might work for you. The Body Shop’s Vitamin E Overnight Serum In Oil has is getting good press in the UK recently, but, stinky poo, this isn’t available in NZ yet. In winter I’ll often use a Rosehip Oil or Argan Oil to get an extra moisture boost, which I find works really well. Mineral oil is the root of all beauty evil. Mineral oils don’t do anything your skin except to sit there and coat it – it doesn’t actually get absorbed. Unfortunately, lots of beauty products like moisturisers, lip balms and body oils contain mineral oil for main reasons such as A) It’s cheap (big oil companies pay people to take their stuff off their hands). And, B) They make your skin feel nice. However mineral oil doesn’t hydrate the skin, quite the opposite in fact: You’ll end up with clogged pores and skin that’s trying super hard to breathe. “Alright”, I can hear you sighing,”what do I need to do?” Use oils that are derived from plants instead. These absorb into the epidermis and your skin will be deliriously happy as it will be able to breathe and absorb moisture. What products contain mineral oil? There’s a big list, unfortunately. Take a good look at your labels: Liquid paraffin, liquid petroleum, paraffin oil, paraffinum liquidum, petrolatum liquid, petroleum oil, white mineral oil and white oil… These are all mineral oils. Vaseline is also a member of the Mineral Oil family as well as, so I recently discovered, the main ingredient in Elizabeth Arden’s renowned 8 hour cream. You can read Caroline’s Rant on Mineral Oil here. Facial Oils & Moisturiser. Use moisturisers/facial oils to treat your skin type (as opposed to serums, which treat your skin condition). My choice? 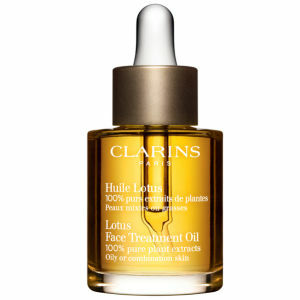 I love Clarins’ Lotus Face Treatment Oil (for Oily/Combo skin) followed by Moreish’s Day Light Moisturiser. My skin is less oily now that I use a balancing oil. Go figure. Drink Water and Limit Sugar. I am not a fan of completely eliminating ‘stuff’ from my diet (e.g. carbs, sugar, fat). Been there. Got the t-shirt. I can’t be deprived of anything. The minute you tell me I can’t have something… Guess what happens? I want it. Generally though, I do try to limit my sugar as I’m fairly well read on the subject and look, to keep it simple, I’m convinced it’s BAD. When I’m consuming very little sugar several fascinating things happen: My jeans get looser, my energy levels are constant AND my skin is completely free of the breakouts that have plagued me since I’m a teenager. It’s certainly food for thought. Lastly many of the products Caroline waxes lyrical about on her blog are, frustratingly, only available in the UK. It’s taken a lot of research, coupled with trial and error, to find the right combo for my (oily) skin. Good news though: I’ve bought most of these products locally, albeit a couple purchased overseas last year in duty free (you know me, I’m always looking on ways to save!). I’d totally recommend you take some time to browse her blog. After all, the face you have is the only one you’ll ever have – and you’ll be glad you started looking after it NOW! So, what are you waiting for? Go and wash your face!